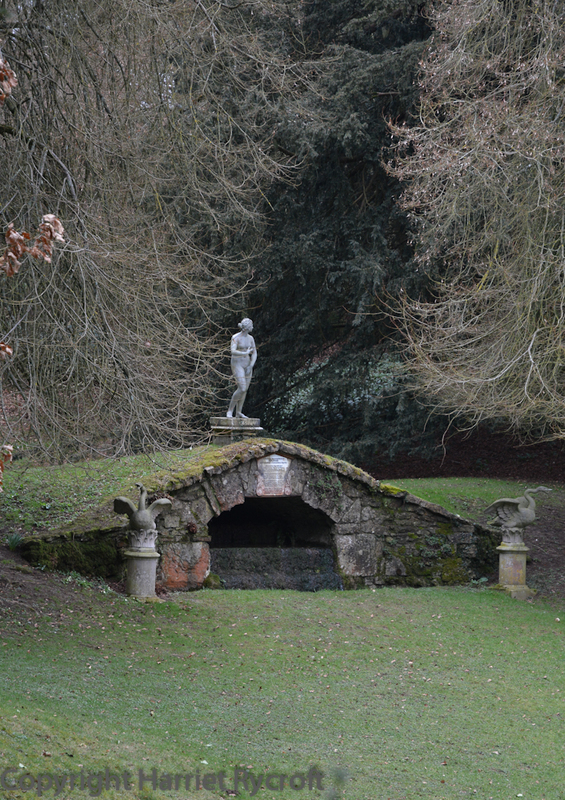 Fine bone structure – a garden on the threshold of spring. My aunt phoned me and proposed a garden visit. It being early March we soon realised, after the initial burst of enthusiasm, that our options were limited. Snowdrops were grinding to a slushy halt and most unsnowdroppy gardens still had their gates firmly closed. Then I remembered Rousham. I last went there in May 2007, so it was long overdue for a re-visit. Like any classic beauty it has a fine bone structure: a house owned by the same family for a whole herd of donkey’s years, a walled garden complex, and an 18th Century landscape courtesy of Charles Bridgeman and William Kent. And it’s open every day of the year. Luckily my aunt, my cousin and I had arranged to meet in the Red Lion in Steeple Aston first, it was a cold, grey day so we definitely needed bellies full of fish & chips & mushy peas before heading out into the biting winter wind. I’m not an architecture buff, a landscape architecture buff or a garden history buff. 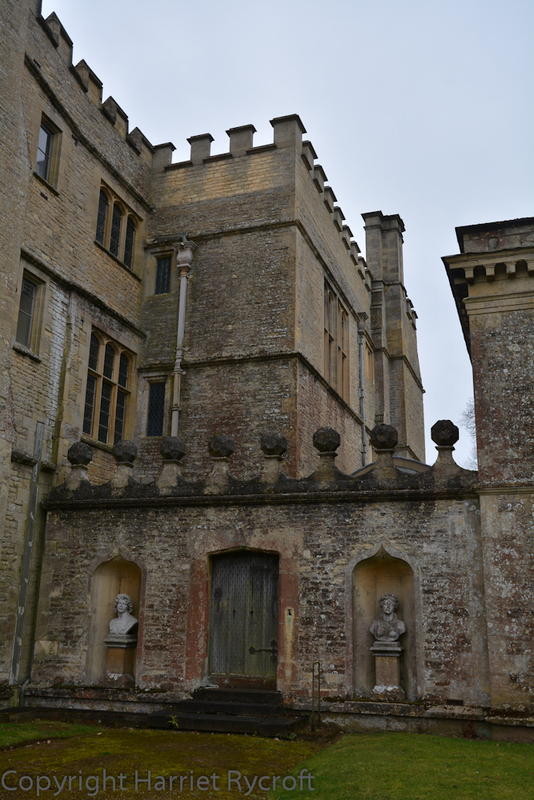 I know Rousham is historically important but I like to visit a garden without boning up on the academic stuff. I don’t think it’s just because I’m lazy – I don’t want someone else to decide whether I should like a place. And I do like this place. 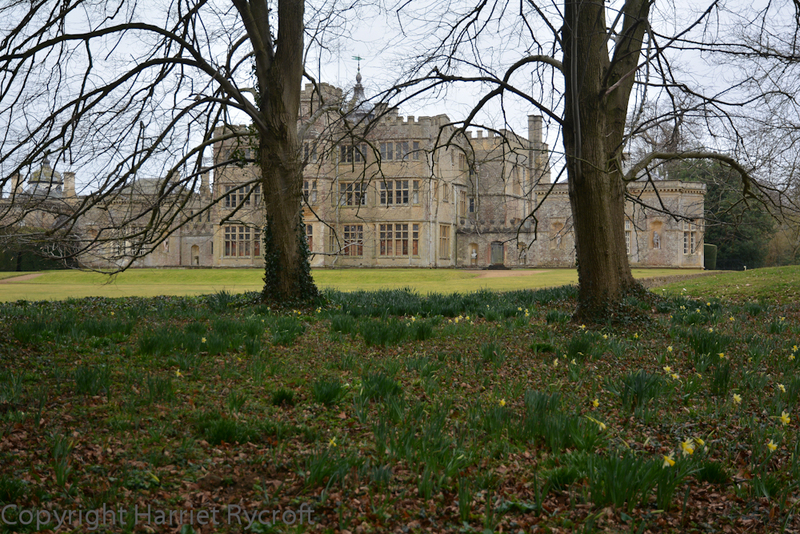 In spite of the fact that there were almost no flowers apart from a large patch of ageing snowdrops and a sprinkling of emerging daffodils, there was plenty to look at. There’s a lot of statuary. Most of it well-placed, some of it seeming a bit 18thC kitsch. Not the kind of thing I’d want in my garden even if I could afford beautifully patinated antiques. Anyway, it wouldn’t suit my medium-sized town garden behind an early Victorian terraced house. So that’s all right then. In a landscape this size you need focal points and it’s good to have figures (albeit mythical) populating it when you can so easily be the only visitor. 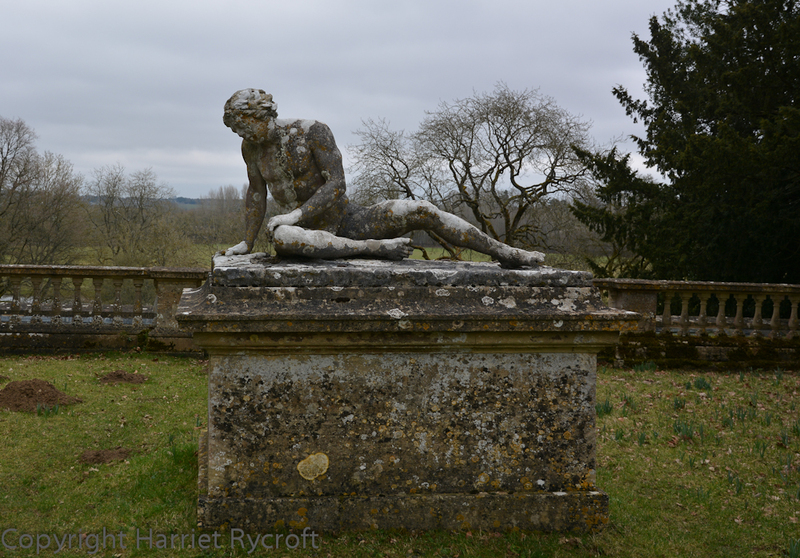 I did wish I had a spare paperback in the car to leave for the “Dying Gladiator” though. He did look bored. 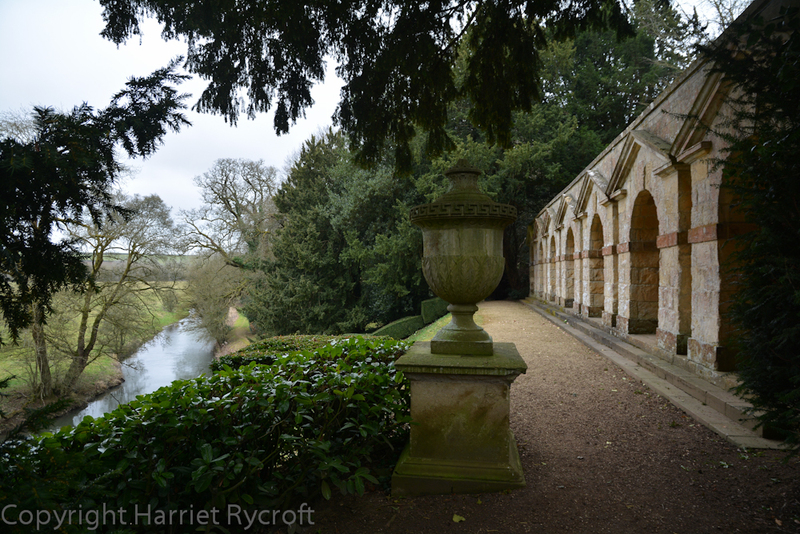 We wandered around the landscape gardens and along the river, admiring vistas and classically-inspired buildings such as Praeneste, whose seven arches gaze out across the River Cherwell. I can’t help imagining the flirtations and “accidental” meetings which might have happened in these over the heavily chaperoned centuries. Praeneste, above the River Cherwell. Good place to “accidentally” bump into a charming house guest. 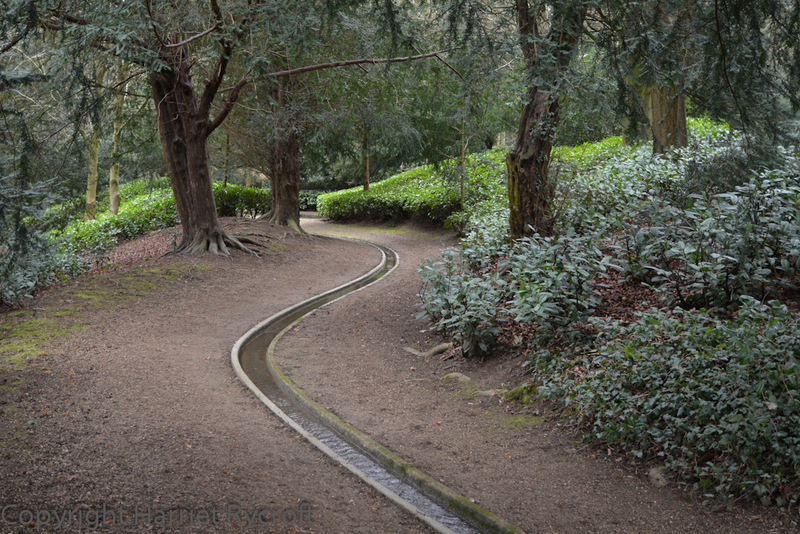 We saw the famous winding rill, which looks so modern I was surprised to read later that it is contemporary with the rest of the garden features. 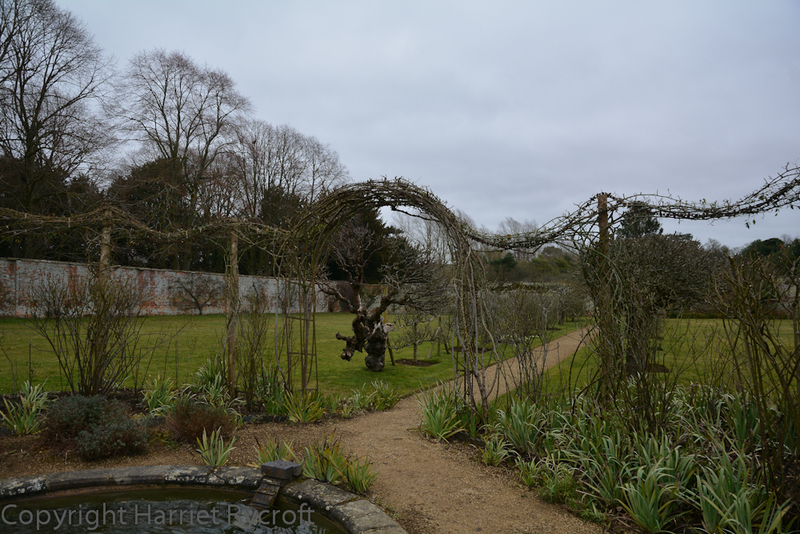 But we were keen to keep moving and warm, and headed across the lawns towards the walled gardens. You can’t beat a good flobbly yew hedge in winter. 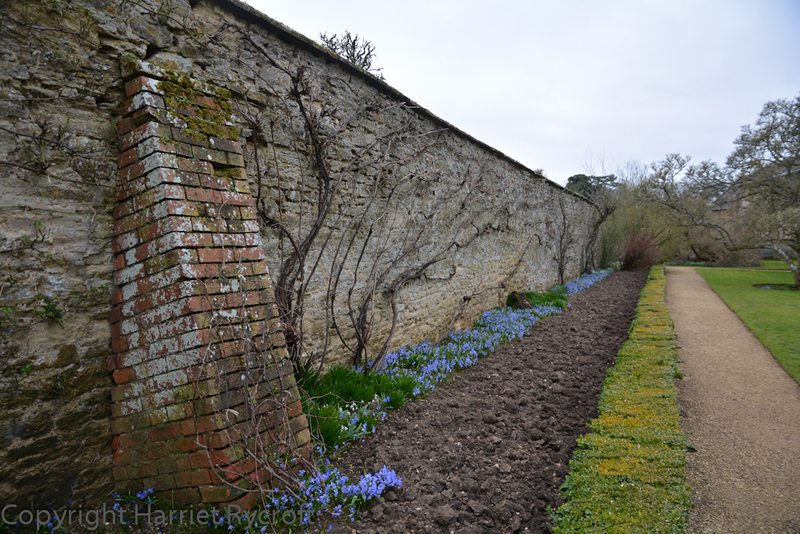 At Rousham you walk through a real corker to get to the walled gardens. It bulges, sways and looms, and the inside is sinister and twisted, so that finding the gate to the rest of the garden is quite a Narnia-ish experience. This is where most of the flowers occur during the summer. 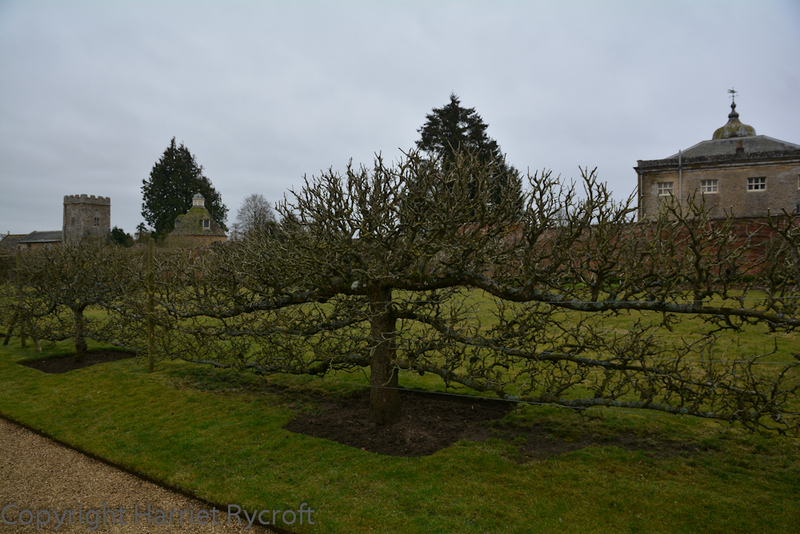 But in early March the stars are the gnarled ancient apple espaliers, which usher you along the paths towards the kitchen garden and the little church. I enjoy a bit of winter pruning myself, so I relished the apples and the swagged rose circle and wished that I too could have ranks of fruit trees flattened against beautiful brick walls to play with. 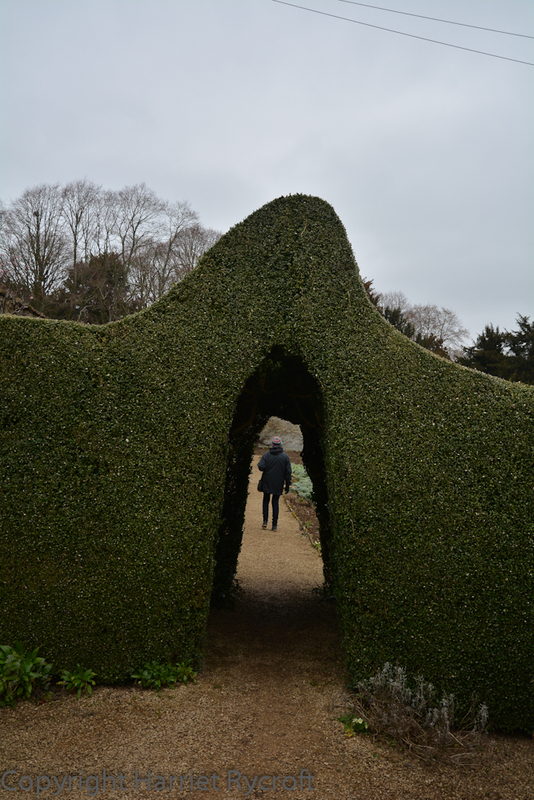 A person-shaped hole in another superbly smooth and curvy hedge took us into the vegetable garden, all neatly dug and crisp and full of promise. 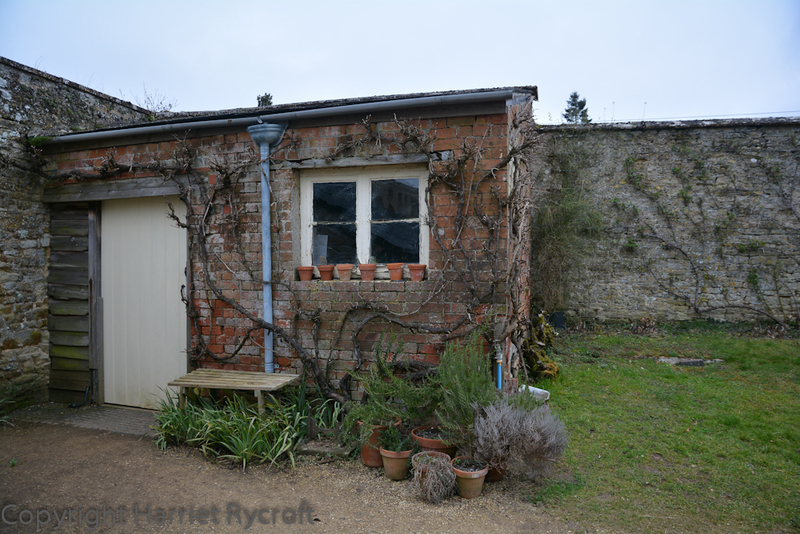 There were more fishbone fruit trees against these walls and in the walled rose/knot garden there were roses, cherries, pears, vines all pruned to within an inch of their lives, closely fitted around the walls, the dovecote and even the gardeners’ bothy. Neat walls, hedges, paths. Even the Chionodoxa know their place. 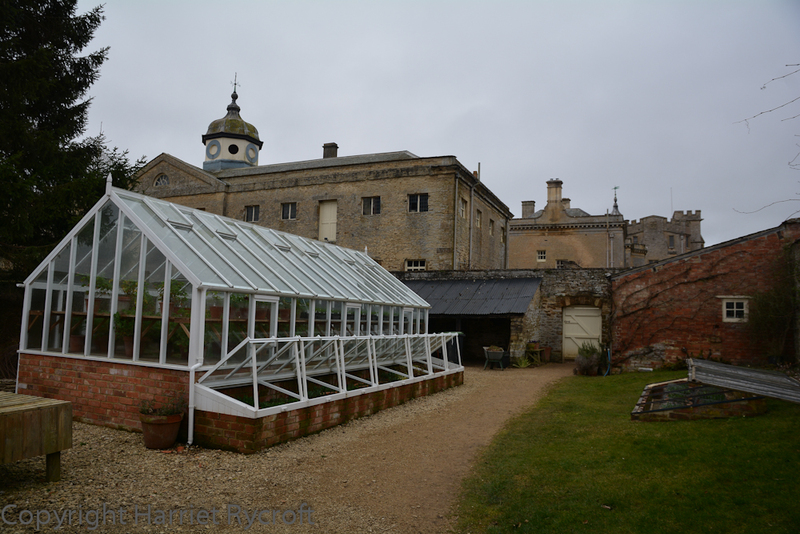 A smart greenhouse and cold frames held hints of future froth: seedlings, pelargoniums and pots of tulips. Neatly stacked hazel sticks and metal hoops promised the pinning back of summer excess. As I walked I realised that this is what makes gardening exciting. 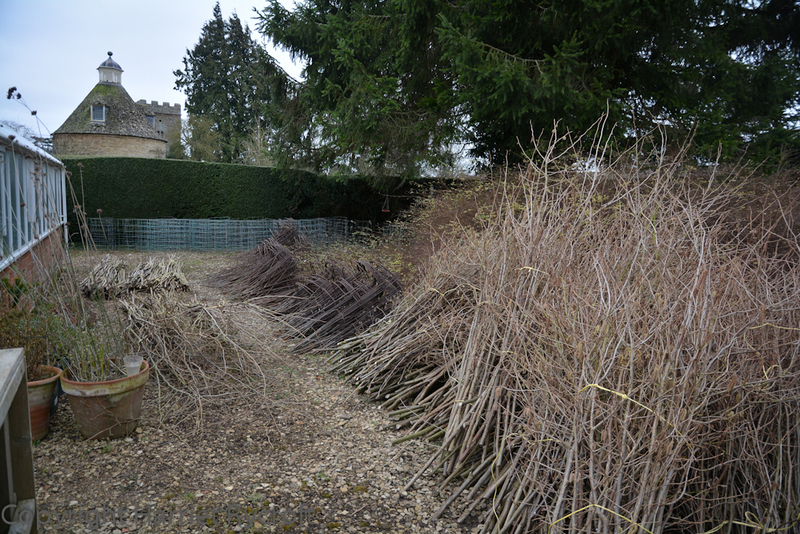 Going back to a skeleton of twig and stone in winter, the clearing, digging, pruning, and tying in. Everything is flattened, clear, cleansed by frost and ready and waiting for that first rumbling as shoots rise and buds bulge, then spring flowers pop and crackle until the mad explosions of summer, which die down in sighs and smiles to autumn and winter. 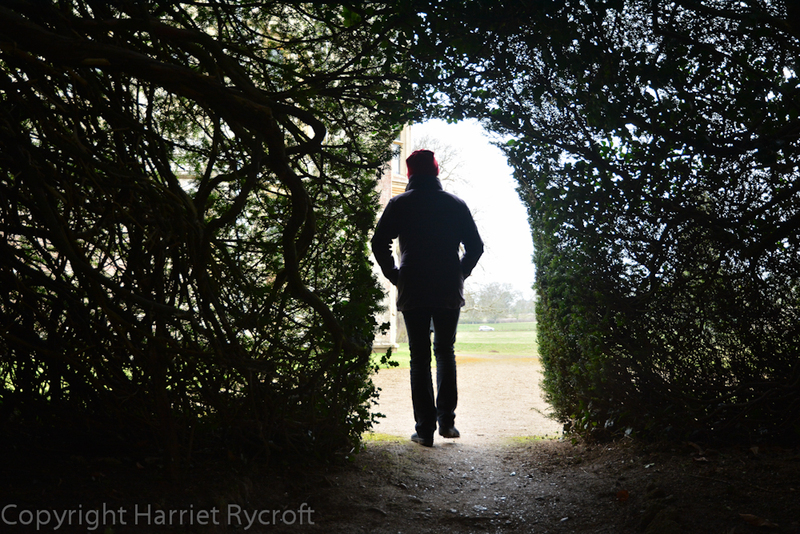 Even without antique statuary, beautiful brick walls and venerable hedges we gardeners are lucky to be so intimately involved in the process – and must make the best of the bones we have. I do agree re: the skeleton of a garden – revisited in later months there’s a magical alchemy taken hold – always an exciting moment. Yes, but it’s a bit like watching films of books… Is it best to see the skeleton first and the full-bodied garden later or vice versa? I like to read the book first and see the film later but then I know how the film is going to end. Decisions, decisions! That’s a good analogy. Yes, it’s important to see the skeleton to understand the flesh. How interesting to volunteer at Nymans, I haven’t been there for ages, though I drove past it on my way back from Borde Hill last week. Will have to visit again soon, it’s a lovely area, stuffed with interesting gardens! 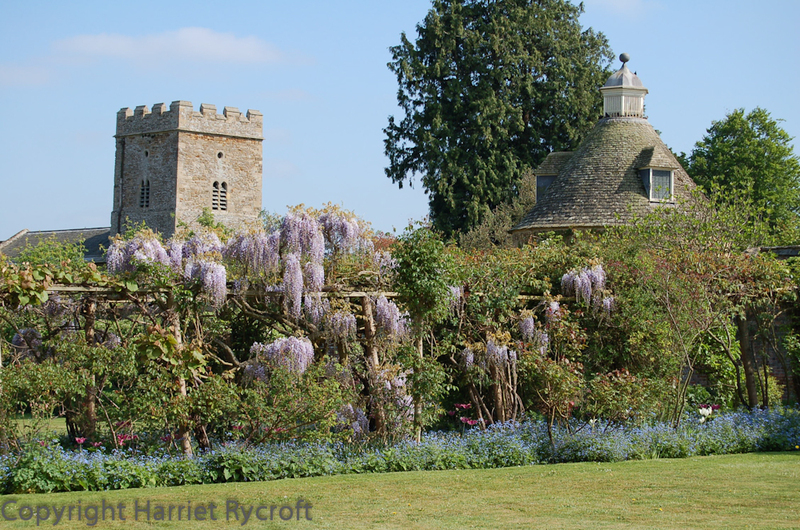 As a volunteer gardener who also makes a living from gardening, it’s a continual learning process; gardening in an historic garden provides a very different aesthetic framework for my practice. I also get to see plant combinations at scales I could only dream of. Definitely influencing what & how i create planting schemes. It also breaks the isolation that can come from working on your own. Agree Re: so many interesting gardens in a very small area -richness indeed!